GREENVILLE - Clifton Wayne McDonald, 68, of Greenville, died Friday, July 22, 2016, at 7:33PM at Owensboro Health Muhlenberg Community Hospital. Mr. McDonald was born January 31, 1948, in Muhlenberg County. He was a laborer with SKW Plant, and was a member of Duvall's Chapel General Baptist Church. 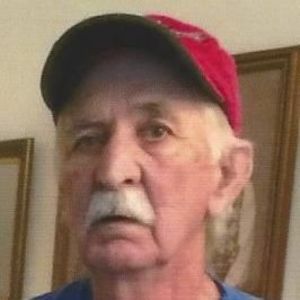 He was preceded in death by his wife, Carla Ann McDonald; parents Clifford and Mary Susan McDonald; sister Lillian (Curtis) Henderson; and step-grandchildren Christopher and Katlyn Nelson. He is survived by his sister, Mary Lou McDonald Tipitt of Greenville; brother Jerold (Shelia) McDonald of Owensboro; step-children Angie (Dennis) Jones of Nelson Creek, Jeff (Lisa) Nelson of Nelson Creek, Kevin (Jan) Nelson of Central City, and Terry (Theresa) Nelson of Central City; former daughter-in-law, Anita Doss of Central City; five step-grandchildren; six step-great-grandchildren; several nieces, nephews, uncles, aunts, and cousins; and special friend and caregiver, Jacky Crick. Funeral services will be Wednesday, July 27, 2016, at 2:00PM at Tucker Funeral Home in Central City, with Bro. Fred Harrison officiating, assisted by Bro. Jeremy Jessup. Burial in Nebo Cemetery. Visitation will be Wednesday after 12:00 noon at the funeral home. Online condolences may be made at www.tuckerfuneralhomes.com. The beautiful and interactive Eternal Tribute tells Clifton's life story the way it deserves to be told in words, pictures and video. May God grant you peace and comfort Jerold, Mary and all Wayne's family in this time of great loss and sorry. Find your strength in Him. God gave us Wayne for such a short time but Wayne blessed all that he came in contact with with his down to earth manner and ready smile. I'm sure GOD embraced him upon his entering Heaven with "Welcome into my Kingdom good and faithful servant, your job on earth is done". God BLess your all. And loving memories to heal your heart. SURE GONNA MISS YOU, BUDDY. Iam so sorry for your loss.Praying that God will wrap his comforting arms around you during this difficult time. So very sorry for your loss. I did not know Clifton however I am quite fond of Sarah, Jesse and the Girls. I also have been blessed to meet Mary Lou and other Family members. I pray that you find comfort and peace in your many precious memories . I would like the family to know how sorry I am about his passing. It's really hard to give up someone you love so much. Love, thoughts and prayers to all of you.